Growing up in the south, everyone’s father had a gun — weapons were always around but generally took the form of mysterious closets we kids weren’t allowed in. In college, I dated a hunter and his family took very seriously their responsibility for life and safety, and I think of them often when discussing responsible gun legislation proposed by President Obama and Senate leaders with friends and strangers, and their influence on me is probably the basis for the respectful tone I keep when disagreeing. But violence and the potential for gun-related violence or accidents have followed me throughout my life. When I was nine or ten, my best friend’s stepdad awoke in the middle of the night to hear an intruder moving about the house. In the dark, he reached for his handgun and took aim toward the noise in the hallway. His wife appeared then, in front of him, a glass of water in her hand — terrified to come face to face with her husband pointing a gun at her. Luckily, he had the presence of mind to relax his grip and put the gun down. All of us kids talked about it the next day. By breakfast, the mother had moved beyond upset and scared, and was furious with her husband. A few years later when I was a teenager, my father decided he wanted a divorce. When my mother couldn’t imagine a life without him and was uncooperative, he reached for his gun, and over the course of a weekend held her captive. He did all sorts of unspeakable things to her, keeping a gun to her head the entire time, until he finally, on the third day, fell asleep. She escaped to a friend’s house, and on Monday found an apartment and filed a police report. My uncle, a well-loved and talented musician and music teacher, would drive home late at night across Raleigh from restaurant and club gigs he played with his band. He would often stop at a convenient store late for something to eat. One summer night in the 80′s, he unknowingly entered a store during an armed robbery. The thief had managed to come around behind my uncle and was about to make his escape when he called from behind, with a hand on the door, “Don’t turn around.” Reflexively, Jerry turned to see who had spoken to him. He was shot and killed immediately. He left behind a beautiful wife and daughter who still miss him terribly to this day. Lanza then backtracked to Soto’s room. “It’s going to be a very rough and very ugly battle. Fortunately, our enemy doesn’t have any guns and they don’t know how to use them,” said NRA President David Keene, on new federal and state gun regulations. I know from my own history that often it is a good guy with a gun that later becomes an impassioned, irrational, frustrated, angry bad guy with a gun. I will protect anyone’s right to own a weapon, but in fact no one needs the weapons of mass destruction that too many times now have found their way into the hands of troubled youth. Until we do a better job of taking care of our mentally ill, we must make it harder to obtain these weapons. (Owning a weapon should be regarded as a serious responsibility again. I actually watched an NRA YouTube video interview with N.H. gun store owner Keith Cox refer to them as “toys for adults” here.) I support the assault weapons ban, universal background checks, stricter penalties for illegal gun sales, mandatory liability insurance for gun owners, and increased spending for our mentally ill. Though I haven’t seen any photographs, I cannot shake the image — indeed, my mind can see it more clearly than if you’d shown me a photograph — the story of the child with his hand and jaw blown off. The hand presumably raised to protect himself. To protect himself. He had seen, and he knew. For a six-year-old to possess that horrible knowledge, even for an instant, was and is a lot to bear. There are small moments of victory and many moments of discouraging or frightening news. But as Martin Luther King, Jr. said — there comes a point when even silence becomes permission. 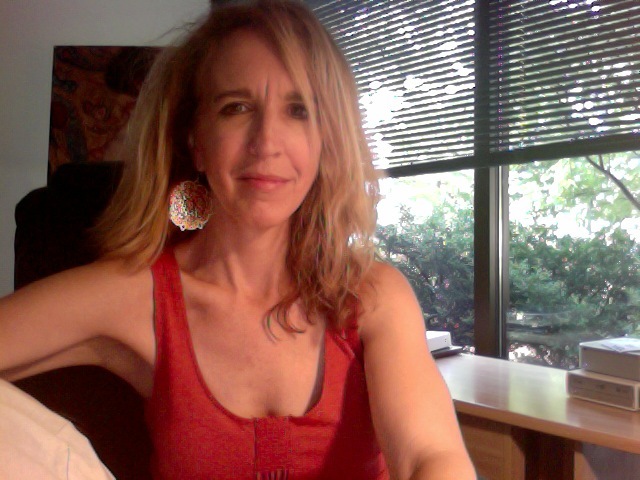 Melissa Hassard is an online content writer and editor, poet, essayist, and mother. Her studies in public relations, communication, world religions, and writing led her into careers in travel, executive leadership, social media strategy and advertising. She has a keen love of language and writes creatively about those moments closest to her heart. 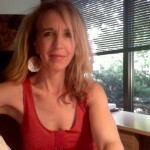 When not writing or editing, she may possibly be found on a bike or on a stage somewhere in North Carolina where she currently resides, raising her children, her business, and her writers’ group. Melissa pours herself into her passions, which include nurturing and encouraging the passions of others. Learn more about Melissa’s work at her website: melissahassard.com. This entry was posted in Uncategorized and tagged Exit Wound, Guest Writer, Gun control, Gun violence, Guns, Hassart, Melissa Hassart. Bookmark the permalink. Thank you, Melissa, for so eloquently making the point that the NRA gun lobbyists and their adherents are abusing our country, spreading sad misinterpretation of the Second Amendment and forgetting that the Declaration of Independence specified our rights to life, liberty, and the pursuit of happiness. They claim to defend their–and our–freedom at the same time they take it away by making it ever more possible for lives to be taken and impossible for us to live without fear. Our legislators MUST declare their independence from the gun lobby, and NOW! Excellent piece. Poignant and powerful.